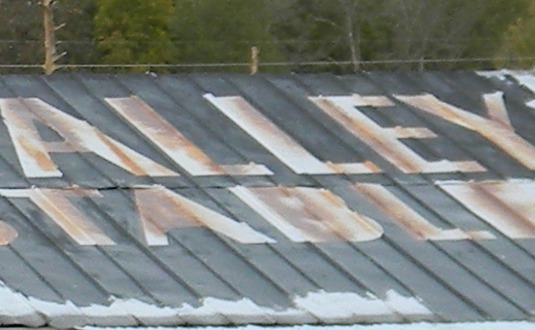 I was contacted about making a barn roof look like an old “See Rock City” advertisement, this one says “See Blairs Valley Boarding Stables”. I’ve done quite a few rat rod truck doors, but this is a lot bigger. 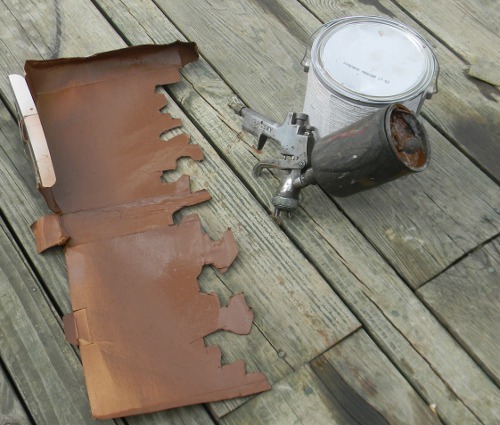 I’ve done fake rust stains around fake paint chips, but not fake paint flaking. 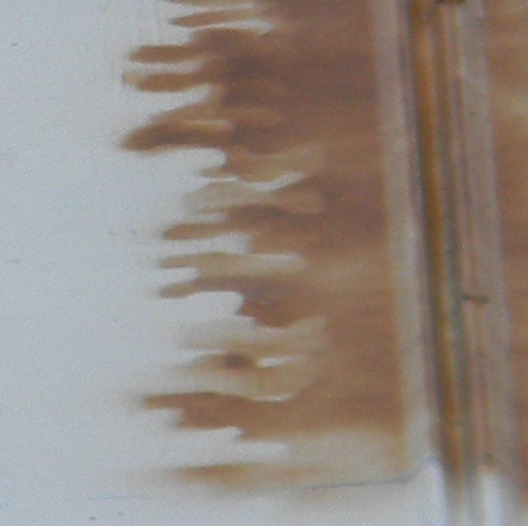 It’s always fun to have a serendipity incident; that’s what happened with the method for painting the flaking paint. You can see the stencil I made in the first picture. When I first tried it, I laid down a solid coat of brown using the stencil. That was a mistake. It was immediately fixed by spraying a light coat, then moving it an inch down and to the side and inch. Another light spraying, then moved it down and to the other side. This created a translucent, somewhat chaotic look. This keeps the eye from looking at the unrealistic solid edge made by not moving the stencil. Maybe the shape of the stencil could be made better, but it doesn’t matter if it’s moved right. The next picture shows how the stencil was used. 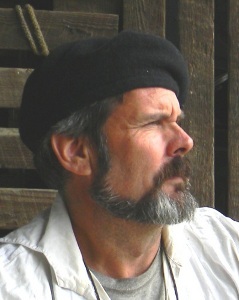 The next picture shows another color, an orange brown color. I thinned it with varnish so that it went on smoothly (visually). 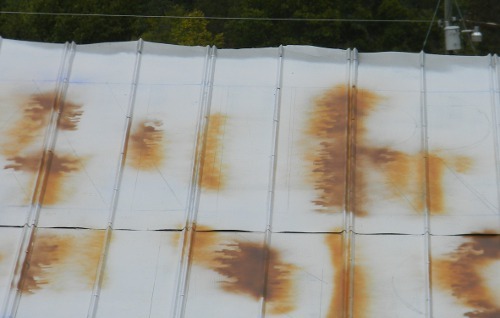 This color represents white paint that’s stained by rust. 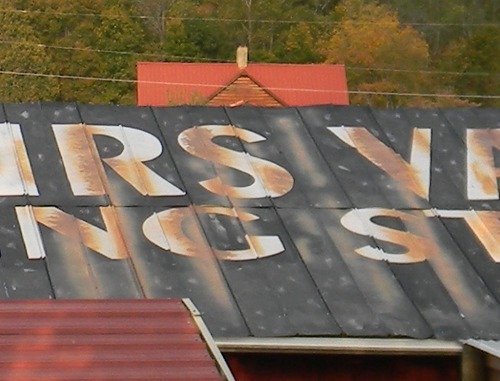 The brown paint above is the rust itself. The next picture shows the black paint being put around the white letters. I do it reverse because a white letter brush painted on a black background would probably need two coats. Using a roller or airless to apply white makes a solid coat. I was asked to distress the black paint more, and to run the rust stains on the black; those were the final steps. You can see them in the next two pictures.